Same NP-126S battery as X-T2 with better life at 390 shots vs 340 on X-T2! With a new sensor and new processing plus the advent of better bitrates and codecs the X-T3 should do much better at retaining detail in slow motion footage and 4k. The crop factor being lower than the X-T2 is also a good update. In our view, the X-T2 was a good camera but suffered from recycling sensor technology and rolling shutter. The X-T3 aims at fixing all of this by bringing a new sensor with better low light and speedier capture which were expected for Fuji to remain competitive. The Panasonic GH5 and GH5s are the direct competitors to this camera and Fuji for many will be the easier choice because of their much improved AF and the Eterna color simulation which for video looks extremely cinematic right out of the box. The larger sensor also makes a difference. That, however, doesn’t mean it matches the GH series yet for the variety of video formats and features which is still unmatched. We have gathered the few slow-motion samples we could find for the X-T3. 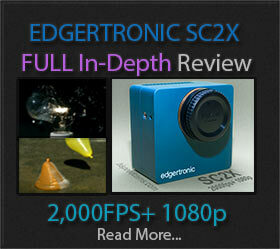 We consider it to be directly competitive with Panasonic and Sony at 120fps with excellent color and detail retention. Fuji did a great 120fps full HD camera on the X-T3. Previous PostZ Cam E2 Starts Shipping To Customers!Next PostInsta360 One X Breaks the 3k 100fps barrier! 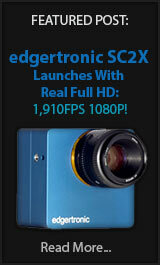 Do you know if the sound recording anf autofocus are working on 120 fps capture? Tracking AF works in 120p mode but it struggles to be consistent. It has a hard time locking in and it jerks back and forth. We can’t see if audio is preserved but most probably it is not. We will have to wait for the manual.